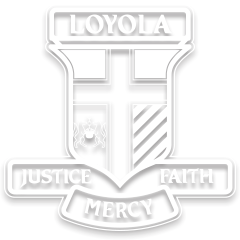 Welcome to Iggy’s Restaurant, Loyola College’s student training restaurant set within the grand, historic Jesuit ‘Old Loyola’ seminary of the 1930’s. Relish fine student–created dining amidst the monastic atmosphere ‘Old Loyola’ offers. Indulge your culinary senses as you immerse yourself in architecture of a bygone era. Delicious $38 three-course meals are prepared and served by Loyola College Hospitality Students, supervised by qualified staff. Iggy’s is licensed and offers a limited range of alcoholic beverages including wines and beers at affordable prices. Other beverages include soft drinks, espresso coffee, tea, latte, cappuccino and hot chocolate. Payment by cash or credit card is acceptable. Where bookings are for 10 or more we request a $20 per head deposit. Bookings are essential: Phone 9434 4466 during office hours. Enter via Bungay Street (Gate 4). On-site parking is available.